Across the street from my palatial new apartment is Glenn's Gym. I'm too new here to know whether this is a commercial establishment or a workout room that Glenn's really proud of. Comes under the heading of Moot Point with me, of course, since 'gym', like 'jail', is a place I would only go under duress. Both of them feature sweaty males flexing stuff and wishing me harm. It might take the gym guys a while longer to wish me harm, but take my word for it, they would eventually wish me harm. That's just the way sweaty males are. For all I know, sweaty females may wish me harm too, but I rarely get the opportunity to test that thesis. 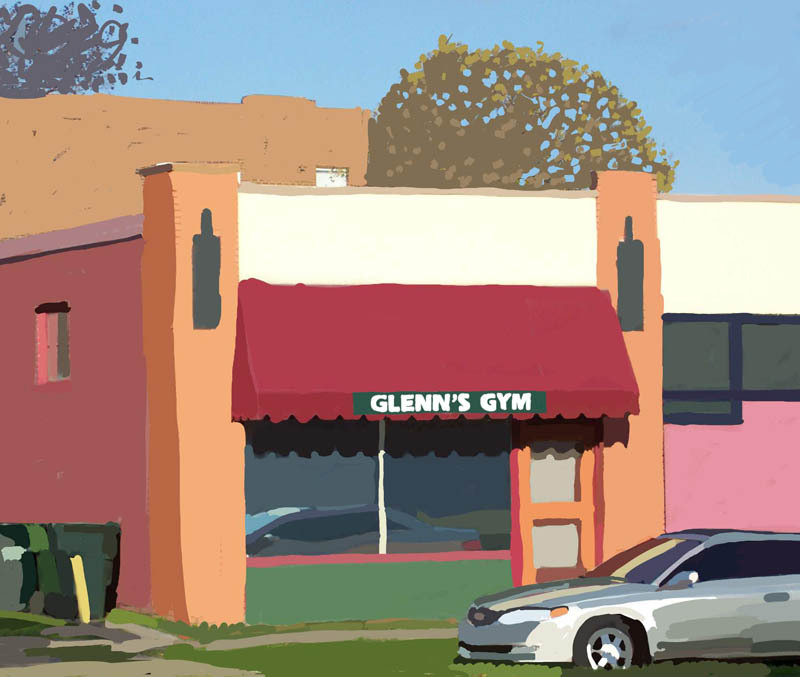 At any rate, Glenn's Gym will remain just a pretty façade to me. November 19, 2006 by Walt Taylor.